Should A Pastor Ever Answer A Call To Another Church? [Written on Saturday, 24th December, 2011] Last night my family organised a small surprise 50th birthday dinner for me (when we were younger we called such events “parties”—but that sounds rather worldly now). As is the custom at such events, the birthday “boy” has to say a few words. 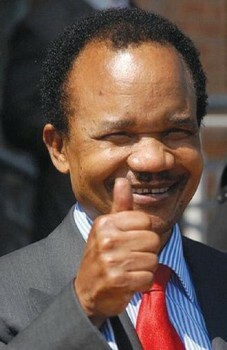 Among the many people I thanked for my wonderful half a century on this planet was Kabwata Baptist Church. In the process, I stated that it was partly because of such a wonderful relationship that I have had with everyone in the church—including the elders and deacons—that I continue to turn down calls to move to other spheres of service. This morning, as I soberly reflected on the events of the previous evening, I realised that I needed to say more on this. Should a pastor ever answer a call to move to another church? 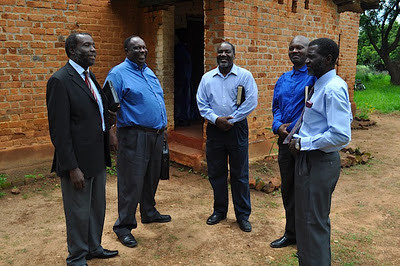 Within our Reformed Baptist churches in Zambia, there are only two of us older pastors who have not moved churches yet. If any of the others wrote such a blog post I am sure some readers in our church circles would think it is self-justification. Since the other older pastor does not have a blog, it just hit me this morning that I am best placed to clear the air on this subject—at least for the Zambian Reformed Baptist constituency. Is a pastor married to his church? Usually, those who believe that a pastor must never move churches think in terms of a pastor’s relationship with his church being like a marriage. It must be “until death do us part”! Hence, to them, when a church approaches the pastor of another church to consider coming to be their pastor, it is akin to a man going to propose marriage to a woman who is already married. Such a proposal is immoral, to say the least. And the “divorce” that takes place when the pastor leaves is perceived as unfaithfulness. How could the pastor do a thing like this? Of course, when they are the ones who want to fire the pastor, they do not think of it like that any more! Again, like a man who has been divorced by his wife for another lover, many members go through a lot of unnecessary self-condemnation. They continue to ask themselves what it was about them that was so deficient that this man should prefer the pastorate of another church. Were we not paying him enough? Did we not care for him enough? Sometimes they even blame other church members who were less than cordial towards their pastor. “You see, your bad attitude towards the pastor is what has made him resign,” they say to the culprits. This can result in very bad feelings within the church. A pastor ought to state the reason why he is leaving. Hence, such heart-searching or witch-hunting is totally unnecessary. Is a pastoral move a betrayal? Accepting a call from another church is quite a dilemma. There is always a section of the church that feels betrayed and abandoned. 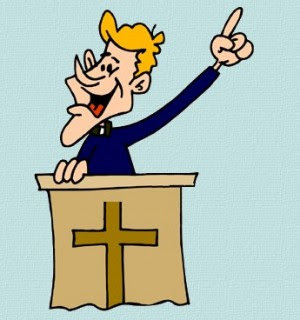 Many people join a church because of the preaching that they find there. Having come “window-shopping” a few times, they find that the regular preacher of the pastor is scratching right where it is itching. Hence, they decide to apply for membership and make this church their home church. 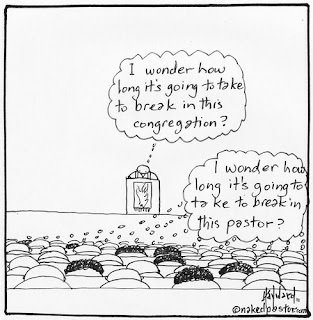 Therefore, one can understand their sense of “what shall we do now?” when it is announced that the pastor is leaving. It is like settling down for a meal in your favourite restaurant only to be told that your favourite chef has quit. You fear that the meals will never be the same again in this place. Granted, not every pastoral move can be justified. Some pastors move from one church to another for purely mercenary reasons. Such people should have never been in pastoral ministry in the first place. (I will qualify the financial issue later in the blog post). Others move because they are running away from the first smell of trouble. They would rather leave the flock in the hands of wolves than risk shedding blood for the sake of the flock. Again, such “hired hands” are better off selling bananas in the market. When is a pastoral move ever justified? Unlike the other elders in the church, whose ministries begin and end within the local church in which they are overseers, a pastor’s primary calling is that of a preacher of God’s Word in God’s world and in the universal church. It is in the same bracket as an apostle, a prophet, and an evangelist (Ephesians 4:11). You cannot limit any of these callings to one single congregation. Such men do not begin to function when you call them into the eldership office. They begin to function as soon as they sense God’s call and they do so in obedience to God. Their “secular” job soon becomes secondary and at the first opportunity to move on they will do so. When the church calls them into the eldership, all it is doing is to provide them with official recognition and also an official platform from which to carry out their God-given calling. Whereas, their primary sphere of labours will be within that local congregation, it cannot be limited to that sphere. Every so often, a pastor will begin to sense within his own spirit that his time of ministry in a specific locality is coming to an end (e.g. 2 Corinthians 2:12-14). Like his initial sense of call, this inner experience can be quite disturbing because the pastor will have sunk his roots in that local church and that locality. However, as with his initial sense of call, the pastor will begin to pray about this and even share it with his wife and his most trusted friends. 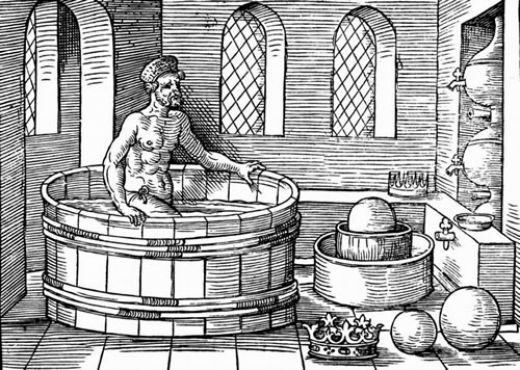 Where his relationship with his fellow elders is very healthy, he may also elect to share this unsettling experience with them even at this early stage. Usually, as this is taking place, a pastor will often receive a call from another church (or another area of ministry) and will want to investigate this further, praying that if it is God calling him to go and minister there God himself confirm it. Often, as he prays and investigates, something in his spirit (or, shall we say, Someone) confirms that this is it. He feels a great sense of peace about accepting the call. Where this ties in with the counsel of his unbiased and most trusted friends, a pastor usually concludes that it is God telling him that it is time to go and pitch his tent elsewhere. He must obey! Sometimes the sense of inner disturbance occurs because the pastor’s preaching and teaching ministry has far outgrown that of the church. His sense of fulfilment in that local church’s pastoral ministry, therefore, diminishes with time. Hence, when a door for more effective ministry opens up, he quickly takes it up and finds a greater sense of fulfilment. That is normal. Surely, he who gifted him must have had in mind where such gifts are best used. The apostle Paul, in 2 Timothy 2:5-6, likens preachers to farmers and runners. Part of their sense of fulfilment is that of being stretched to their limit. They would rather burn out than rust. They want to use all possible means to save as many as possible (1 Corinthians 9:22), according to the gifts that God has given them. 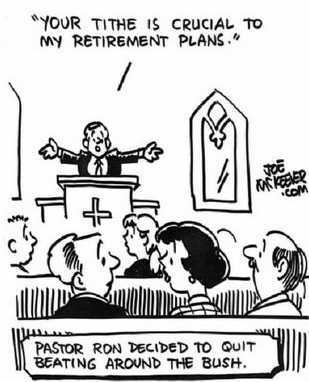 A pastor may also move due to financial considerations. By this I do not mean that a pastor is a gold digger. Rather, God has never called a married man to sacrifice his family on the altar of ministry. Rather, how a man manages his household is part of his qualification for ministry (1 Timothy 3:4). So, every so often, as a pastor’s family grows, the church’s capacity is unable to meet the basic needs of his family—food, clothing, education, etc. The pastor may bring this to the attention of the church and bear long with this situation. He may consider other options (e.g. what we call “tent-making” or his wife working outside the home). However, where things do not improve and his sense of guilt with respect to this primary responsibility begins to haunt him, a door of ministry opening into a pastorate with better perks may be God’s answer to his prayers. Closely related to this is a situation where the church becomes intransigent to the pastor’s ministry. 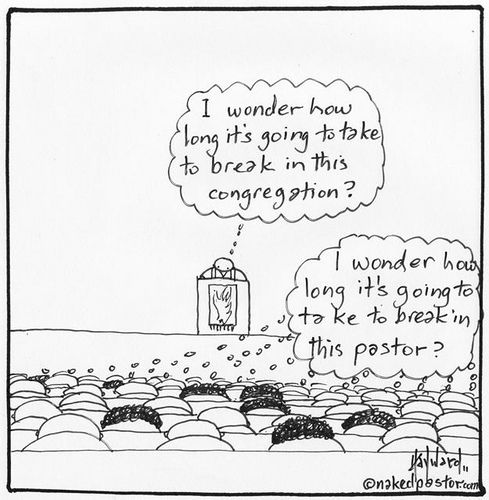 This often happens with churches that have a long tradition and refuse to change under the new pastor’s ministry. Finally, the pastor realises that he must either become a resounding gong or move on to another sphere of service where he can call the tune according to what he thinks God wants him to accomplish among his people. 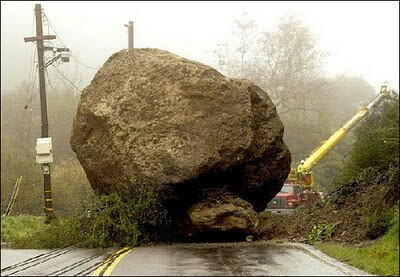 To stay in such a situation often leads to the church breaking you or you breaking the church. 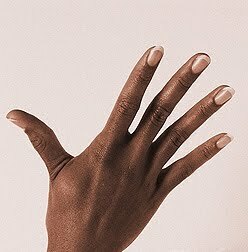 This results in either you or the church becoming bitter. Thus when a call comes from a church that seems to be more willing to be led by the pastor, he concludes that since he only has one life, he should not spend it trying to move the immovable. He is better off spending his few years on earth in a moveable church. What should a church losing its pastor do? Imagine how it must have been when the Holy Spirit said to the church leaders in Antioch that he wanted their two pioneering pastors, Barnabas and Saul, to move on (Acts 13:1-3). Many would have been very confused by this turn of events. However, they saw that the church of Jesus Christ did not begin and end with them, and that elders with a call to the preaching ministry tend to be moved around as the Lord sees it fit from one pulpit to another. Hence, they prayed for them and let them go. 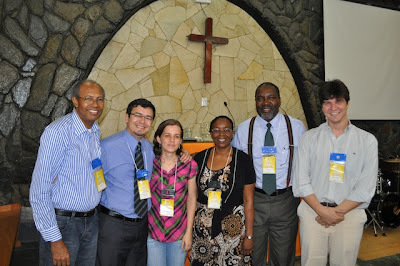 In the same way, it is important to see your pastor as, first of all, God’s servant to the wider church. Thus, instead of putting a guilt trap on him, a church should finally say, “May the Lord’s will be done.” The church’s eldership should answer questions biblically, especially from those who are confused because they are experiencing this severance for the first time. Then the church must make an effort to have a farewell meal with the pastor and his family to show appreciation for his ministry and to pray for his next phase of work. Such a wholesome send off shows the maturity of a local church. As painful as the loss might be, it is best to trust the Lord that he will give you someone else who will lead the church’s pulpit ministry into the next phase of its life. What I have shared here is what normally happens. A number of my fellow pastors have moved pastorates and some are presently on the verge of moving. Generally speaking, I have found that their reasons for moving can be classified into one of the reasons given above or a combination of a few of them. It needs to be stated that the details of all cases will certainly have slight variations. In God’s providence, no two situations are ever the same. Even identical twins, when related to more closely, are actually different! This morning, I had the unexpected privilege and joy of preaching in Zambia’s first Baptist pulpit. I say that it was unexpected because as at this time yesterday I did not even know I was going to preach anywhere. How did this happen? I am part of the steering committee of the Zambian Baptist Historical Society, which aims to help preserve the history of Baptists in Zambia. Yesterday, we were conducting our first day of historical lectures. This was an initiative to get the ordinary Baptist folks to hear biographical sketches of their forebears. This first day of lectures was held in Kitwe at the Central Baptist Church. Since most members of the steering committee had never seen the site where the first Baptist missionaries settled, we decided to go there before heading back to Lusaka today. The Kafulafuta Mission is a few kilometres south of Luanshya, which is on the way to Lusaka. So, as we were leaving the Central Baptist Church in Kitwe, we informed the leaders of the Northern Baptist Association (the present custodians of the site) that we would be in Kafulafuta the next morning and wanted to worship with the congregation there. Well, in the evening we got a call from one of the leaders of the Association saying that I was the one to preach the following morning. At first I was reluctant and complained to the person who got the call for accepting this request on my behalf. I was on leave and really wanted to rest. 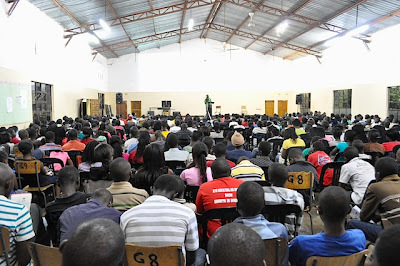 A few moments later, it hit me that I was being asked to preach in the first Baptist church building in Zambia’s history and I was to do so in the month when the building would clock exactly ninety-five years. I was to preach in the pulpit from which Paul Kasonga preached the everlasting gospel that laid the foundation for Baptist work in Zambia. What a privilege! From that moment I was like a little child looking forward to his first day in school. By 03.00 hours in the morning, I was wide-awake! 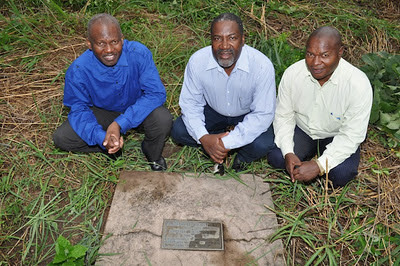 We arrived at Kafulafuta Mission at 08.00 hours today and after the preliminary greetings, we went to the gravesite of Olive Doke, Paul Kasonga, and Anasi Lupunga. This is my third visit to the place where the first leaders of the Baptist work in Zambia are buried and it is always an emotional experience for me. We found the church pastor and another church leader at the gravesite slashing the grass to enable us see the graves. Such humility is rare among us city dwellers. Almost all the readers of this blog will not know Olive Doke, Paul Kasonga or Anasi Lupunga, and so let me tell you a little about them so that you can appreciate why today was so special for me. Olive Doke was not the first Baptist missionary in Zambia. Henry Masters and William Arthur Philips, who came to Zambia in 1905, preceded her. Her dad (J J Doke) and brother (C M Doke) came to “spy out the land” in 1913. On their way back to South Africa, her father died in what is present-day Zimbabwe. Clement returned to Kafulafuta in 1914 and Olive joined him in 1916 when she was only 25 years old. Other missionaries joined them in due season from South Africa, the Scandinavian countries, America, and Australia. Olive has ended up being the longest serving Baptist missionary to this very day. She retired from the mission in 1959 but remained on the mission field until she died in 1972, fifty-six years since her coming. I have written a brief biography of Olive Doke. Her story is one of astonishing commitment to and great accomplishment through the gospel. Paul Kasonga was the first indigenous leader of the Baptist church in Zambia. He is known as “Paul the Leper” because most of his adult life he suffered from and later died of leprosy. 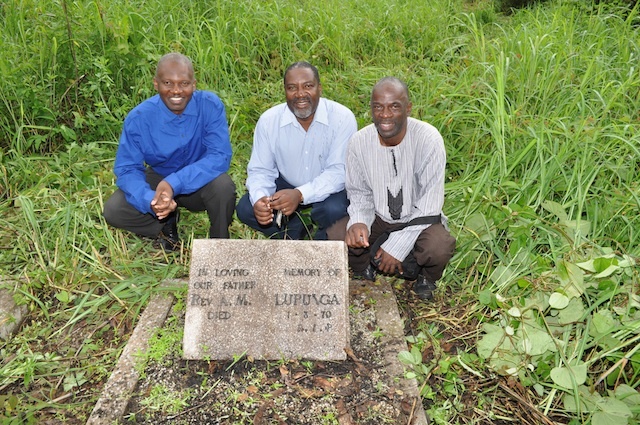 Yet, despite being weak in body, by 1931 his name was added to that of the missionaries as a leader of the work in Kafulafuta. He and Olive were like two peas in a pod. In due season, Olive often deferred to Paul on matters that had to do with leadership at the station, especially after Fiwale Hill mission station was opened and most of the missionaries moved there. Paul became the pastor of the church at Kafulafuta and laboured there until his death in August 1954. 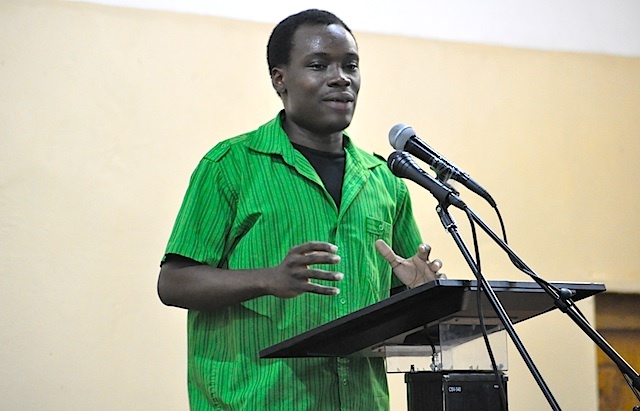 In his latter years, he preached from a wheel chair as he lost both feet to leprosy. When Paul Kasonga died, Anasi Lupunga took over as pastor of the church at Kafulafuta. They had laboured together for a number of years and had been ordained into the pastoral ministry together in June 1953. So, Anasi was the natural choice to pick up the mantle left behind by the passing on of Paul. He died in 1970—two years before Olive Doke. Of the three individuals, only Anasi was ever married. Consequently, his gravestone was erected by his children and grandchildren. Olive’s was erected by the South African Baptist Missionary Society, and so it is also in good shape. 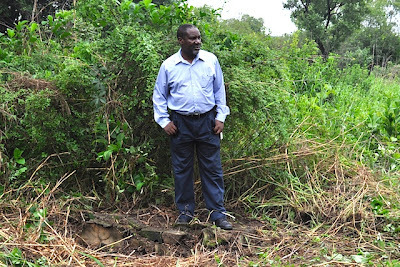 Paul Kasonga’s grave is a disaster! 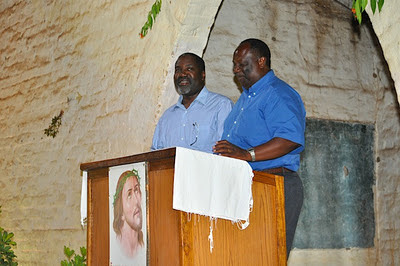 So, this morning, I found myself in the pulpit that was once occupied by Paul Kasonga and Anasi Lupunga. As you can see from the photo, the building itself is well past its “sell by” date. Its walls are cracked, its windows are all broken, and its roof leaks while it is supported by blocks that have been put on top of it. However, as one who has read about the great feats that were accomplished in this place in the days of Olive, Paul and Anasi, I went up that pulpit today with a great sense of awe. I left Kafulafuta this afternoon thinking hard about what we should do as Zambian Baptists to preserve the graves and the buildings that speak of the heroic feats of our spiritual forebears. One possibility is the centenary of the opening of the first Baptist church building, which will be in 2016—five years from now. 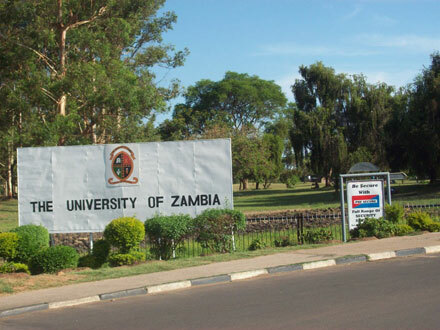 If we spent the next three years raising funds for the centenary, through the auspices of the Zambian Baptist Historical Society, and then used the last two years to refurbish both the buildings and the graves, we could have a less embarrassing event that year. This is just an idea. What do you think? I have just clocked 18,263 days on God’s planet, i.e. I’m 50 years old today. I know that in most Western countries where geriatrics is a challenge, I am still a very young man. However, in sub-Saharan Africa, where the vast majority of our populations are below the age of 20, I have already begun to be referred to as “mudala” (old man). Once upon a time, I would have vehemently objected to being referred to as such, but not any more. The tale-tell signs are evident in every sphere of my life. Perhaps the most frustrating is my fading memory. This is not good for me, as I am still pastoring a growing church. Every so often, I look at the membership list and cannot for the life of me make out who the person is behind the name. Then there are those embarrassing moments when I meet someone whose name I am supposed to know and I need to introduce him or her to the person I am with…but the name is gone! Or, I am in the heart of a discussion and then am briefly disturbed. As I return to the discussion, I cannot remember what on earth I was talking about. The subject is completely gone! 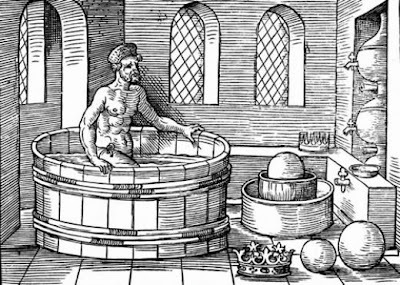 Then there is the physical wear and tear—the sagging waistline and cheeks, the greying hair, the thinning circle of hair at the back, and the growing wrinkles on my face. Who can argue with such an array of witnesses? When I was getting my recent passport, the cameraman kept showing me the photo on his digital camera before taking it for printing. Twice I rejected the photo and asked him to retake the shot. There was no improvement. Finally, I just had to admit that this was what I now look like. Thankfully, my wife married me before age took its toll on my countenance. I have also noticed a very disturbing slowing down of my reflexes. In football (i.e. soccer), which I rarely play these days, I noticed this phenomenon. I would see the ball coming and time myself perfectly. However, just as I thought I was kicking it, I would notice that it has gone right past me and I would go tumbling to the ground. Something has certainly changed in my body. I can now see why men of my age prefer to play golf—the ball is motionless until you hit it! Previously, I needed to go to the gym to lift weights. But now, standing up is weight lifting. I can also understand the person who said, “Before I turned 50, I used to jog 6 miles a day, but now I know a short cut.” I often have to talk myself out of taking such shortcuts. Having made the mistake of marrying a nurse, I am having to pay for this in more ways than one. Every so often, Felistas brings me a banana, a watermelon, and an orange—all cut up into a fruit salad—and tells me that this is my breakfast. What?? This is the oldest photo of me (1964?). I am right in the middle of the family photo! Okay, enough of this negative stuff. 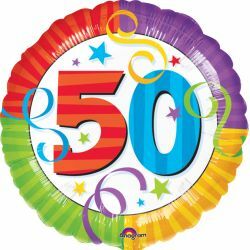 I am happy to have clocked 50. Whereas many people would demand a recount upon being told they have clocked 50, I do not. I think that this is because of a number of choices I made in my late teens and early twenties—the choice of a Saviour, the choice of a career or vocation, and the choice of a wife. As I pause at this juncture in my life, I am deeply grateful to God for having allowed me to live the life that I have lived. Apart from the values instilled in me by my parents and guardians, the most seismic transformation took place when, at the age of 17, I gave my life to Christ. Guided by his Word and strengthened by his Spirit, I have been able to make the conjugal and vocational choices that have brought me where I am today. Next year in September, God willing, I will be celebrating 25 years in the pastorate of Kabwata Baptist Church. 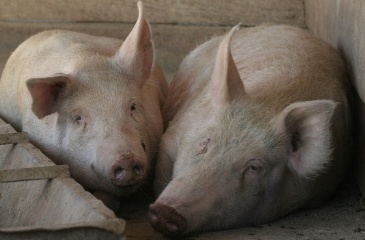 Then a few months later, in January 2013, I will be celebrating 25 years in marriage to Felistas. So, the last half of my life has been spent with one wife and in one vocation—and both have been a tremendous blessing to me. I know that when I resigned my job as a mining engineer to take up the pastorate of a church of some 35 individuals in a rented welfare hall in Kabwata (of all places! ), many people thought I had gone crazy, but I trust history has since proved that it was a call of God. I would want to say much, much more on my wife and my pastorate, but that will pre-empty the blog posts that I intend to write when those two Silver Jubilees come around. So, all I will say for now is that I have been very blessed to have met and married Felistas some twenty-four years ago. God has blessed us with the most wonderful (biological and foster) children that any person would ask for on this side of eternity. Each time I look at the photos of my wife and children in our bedroom, I whisper a prayer of gratitude to God. I have been blessed beyond measure—and I mean it. The latest photo of me was taken in Brazil last month. Felistas is standing next to me. What about KBC? It is a wonderful church. Seeing KBC turn into the gospel outreach machinery that it has become through its various ministries and missionaries has given me a great sense of satisfaction as I clock half a century. It is the doing of God. Last night, as the KBC youth camp came to an end, I sat behind the hundreds of youths listening to the preaching of God’s Word. I prayed that God would be pleased to save them so that their lives on earth may not be destroyed by sin but rather that they may live productive lives for God’s glory. Apart from this, one of my greatest joys still remains seeing the number of individuals whose lives have been transformed through the gospel that God has been pleased to allow me to preach over the last twenty-four years at KBC. Let me end my blog post by also thanking God for the kind of friends that he has been pleased to give me. Friends make or break a man. The phrase “peer pressure” is often spoken of in negative terms, but I want to say that the peer pressure I have experienced from my friends has been very positive. My friends have put their relationship with God as of prime importance. As they have made their way up their career or vocational ladders, money and possessions have not been primary factors in their decision-making. They have wanted to be at the centre of God’s will. They have sought to be godly men, godly husbands, and godly fathers first before expressing that godliness in their careers. I have been very close to them and can assuredly state that they have lived lives of transparent integrity. They have been good examples to my children as they have come to know them. If I was to recount who my closest friends are by name, anyone who knows them would immediately confess that they are made of the choicest gold. 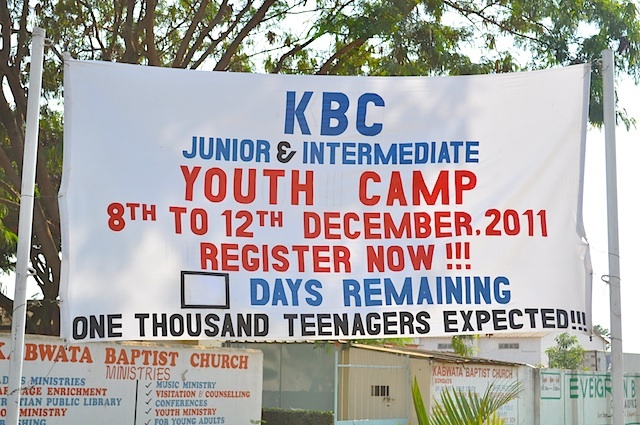 For the last ten years or so Kabwata Baptist Church has been holding a conference for young adults in July and a camp for teenagers in December. 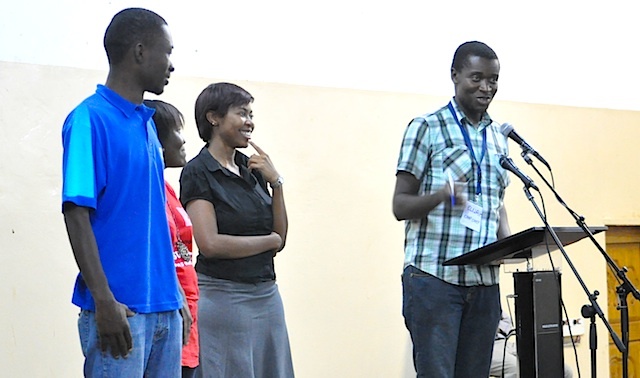 Thus, as I write this blog post, our youth camp has just begun. It will be running until Monday 12th December with a final morning message before the kids go home. The period of preparation had its own demands. I very well remember when this camp started. We had about 35 young people whom we took out for camp that December. The night we were setting up tents (its was a real camp! ), it rained cats and dogs. We were all wet and hungry by the time the tents were up and so campfire was also a time to hang ourselves up to dry. We feared we had lost the enthusiasm of the kids. Wrong! To our amazement, it was this first night that proved the highlight for the campers when they later testified about the camp. Okay, I began saying that the period of preparations had its own demands. That camp that began with 35 young people has grown. This year we are anticipating 1,000 of them to show up. The camp has become the destination of choice for many young people in our sister churches and neighbourhood once they have survived the rigours of studying for end-of-year school tests and exams. 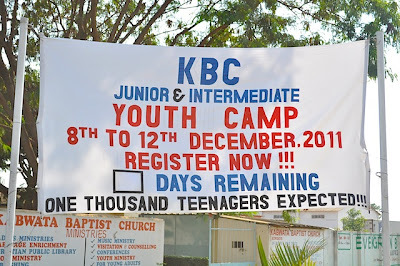 In order to make the event economical for the young people who are coming, KBC members had to make financial pledges towards the running of the camp. Then we needed a whole lot of soldiers to do the registration, ensure discipline, cook and serve food, lead meetings, handle small group devotions and Bible studies, help with one-on-one counselling, lead various sporting activities, etc. About 80 church members volunteered for this task and underwent training at the hands of one of our regular youth camp preachers, Pastor Saidi Chishimba. Yesterday, the camp began. We already had about 600 young people in. Usually, the numbers peak on Saturday. It was good to see the enthusiasm in the young people as they looked forward to a weekend together. The theme for this year’s camp is “2 Heaven With U” (if you don’t understand that, you probably do not qualify to be at this camp). 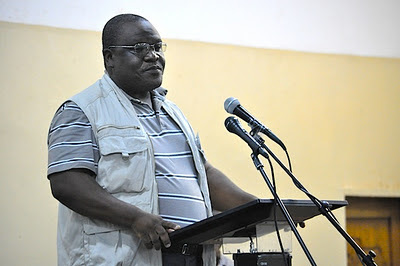 Mwindula Mbewe preached the keynote address. It was good to hear his preaching. My heart always yearns to see young people on fire for Christ. I also cry to God that he would save many youths during the camp. 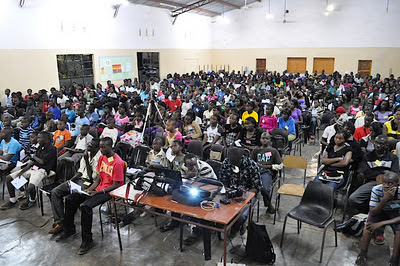 Due to the huge numbers of young people in attendance, the camp has been divided into three groups during the day. A different preacher will handle each of these groups. Pastors Saidi Chishimba (from Faith Baptist Church, Kitwe), Choolwe Mwetwa (from Central Baptist Church, Chingola), and Isaac Makashinyi (from Emmasdale Baptist Church, Lusaka) are the preachers who are labouring in the Word among the young people this year. We also have other speakers who will be handling many seminars in the afternoons, dealing with various youth-related topics. The evening meetings are combined sessions. Part of the congregation on the first night--pray for their salvation! 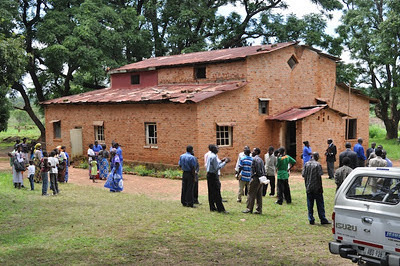 This camp is meant to be a spiritual “combined harvester”. We long to see lives saved at an early age. In the past, we have had our prayers answered but we do not take this for granted. We have known mercy drops but we are longing for showers of blessings. So, if you are a Christian and have read this blog post, I beseech you to take a moment to remember this camp in prayer. During the period leading up to the camp, we have already experienced some attacks from the Evil One. Pray that his efforts will be thwarted and that God will use this camp to bring many young people to himself in repentance and faith. Thank you!